Hello Guys!! 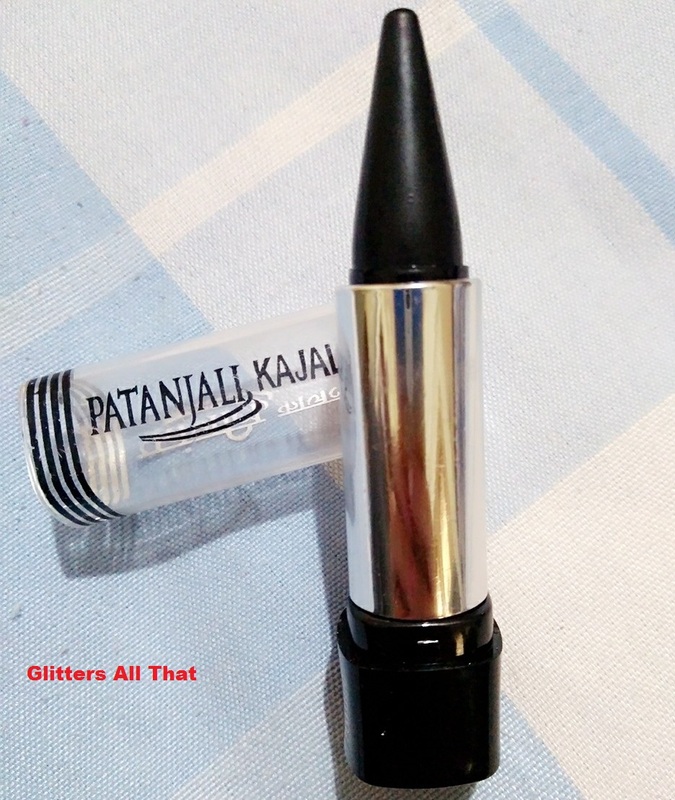 So here I am with a new review on my blog “Glitters All That”.As I have told you all,I am always fond of trying new products so today, I am going to review Patanjali herbal kajal.As, now a days generally we all prefer herbal products instead of chemical based products so,I thought it would be best to review patanjali kajal since I have been using it for a quite long. A safe and unique ointment formulation. Its special combination of precious herbs, vegetable oils and wax helps in maintaining and improving vision.It also claims No smudge no smear on the front of the packaging. 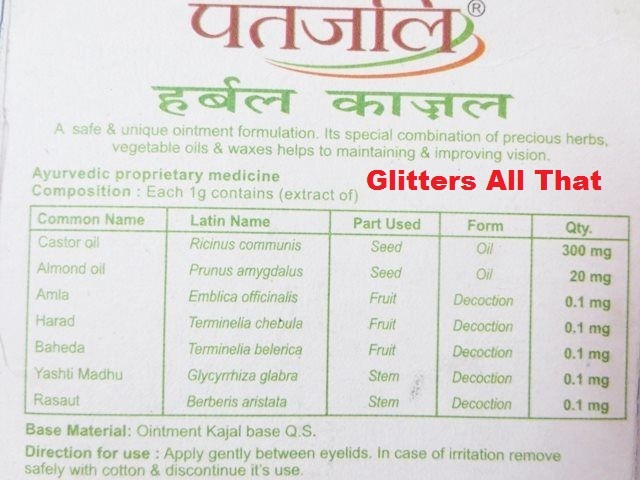 As at the back of packaging they have mentioned the ingredients /composition list which,I have shared in above image they have given the common name of ingredients as well as Latin names. 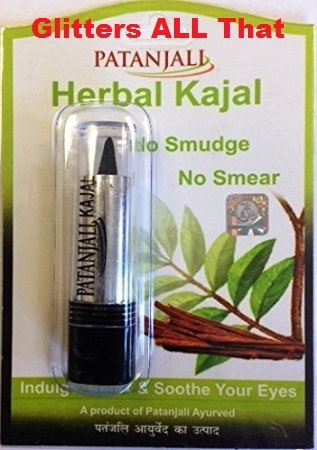 Pantanjali herbal kajal comes with a transparent cap and in a twister form and it has a very travel friendly packaging and is easy to carry. 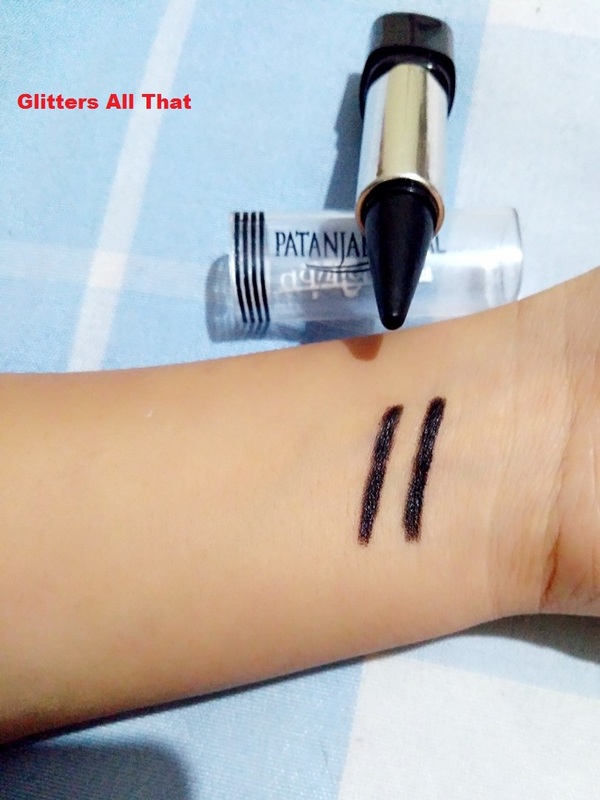 A kajal comes in a jet black colour and smells really incredible. It is so natural and pure and smells exactly like home-made kajal especially the smell of camphor in it. It is very smooth in application and requires 3 to 4 strokes to get perfect look. As I generally apply it on waterline and it stays generally for 3 to 4 hrs and then start smudging , though it claims smudge free. It is safe to wear with contact lenses also as for me it havn’t caused any irritation to my eyes yet. I would have rated it 5 if it would have not smudge and smear. 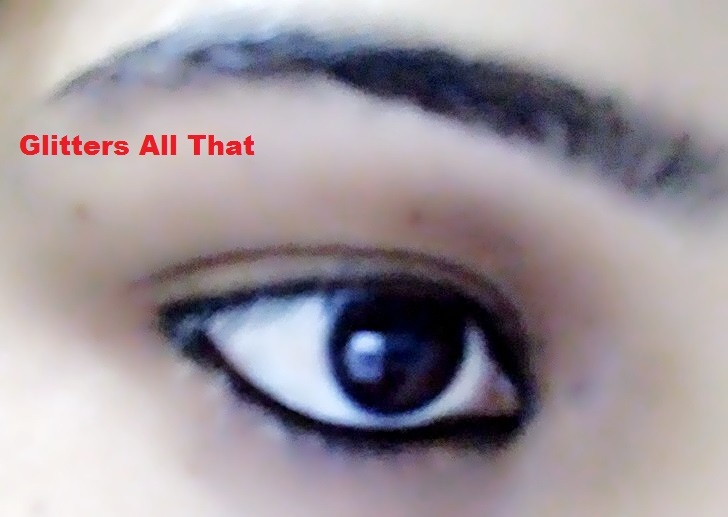 As I prefer smudge free kajal so will think once before buying it again. P.S Hope u liked the review plz share your comments and subscribe to get all the updates of my blog.